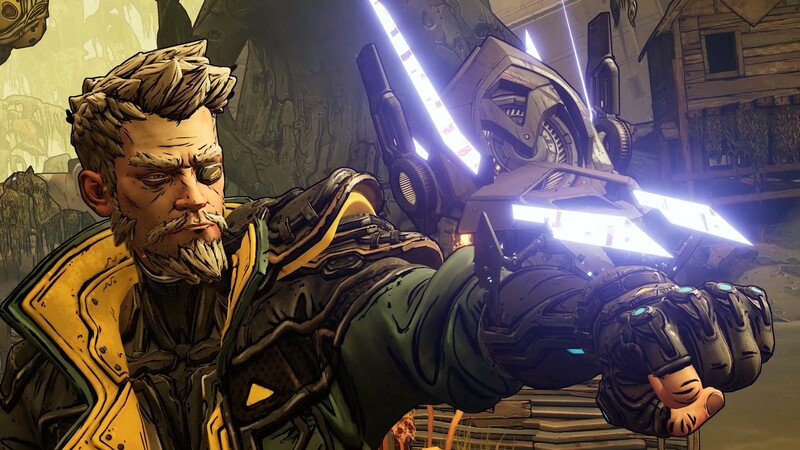 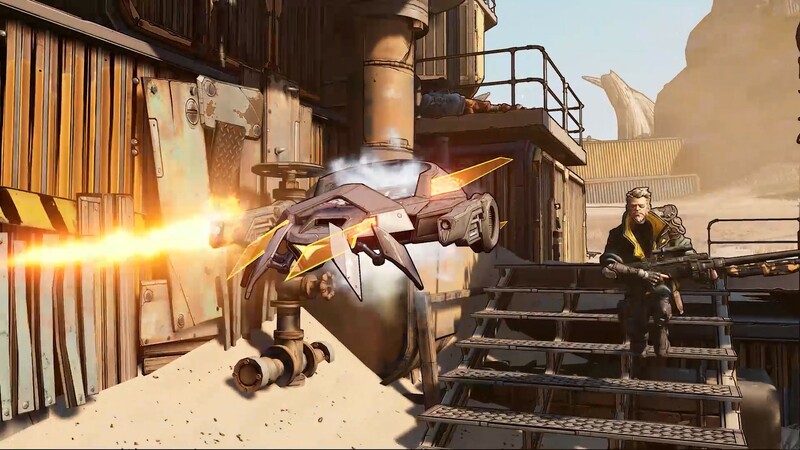 Meet Borderlands 3's Vault Hunters and playable characters | PowerUp! 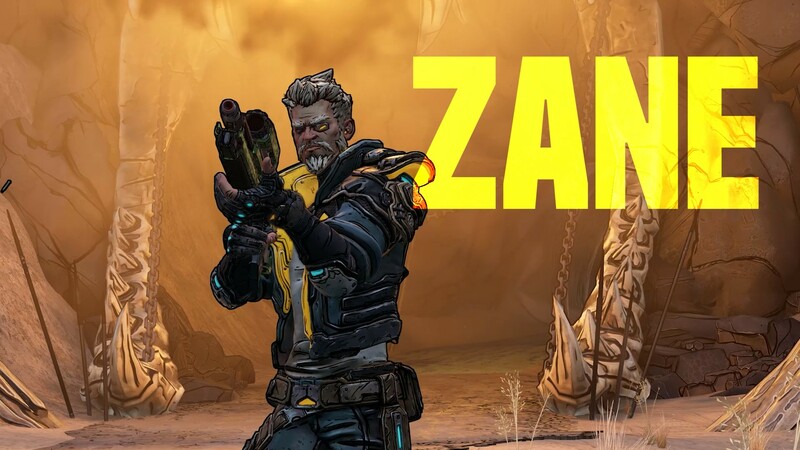 With the release today of the new Borderlands 3 trailer and announcement of the release date we have finally been given a good look at our four playable characters; the Vault Hunters. 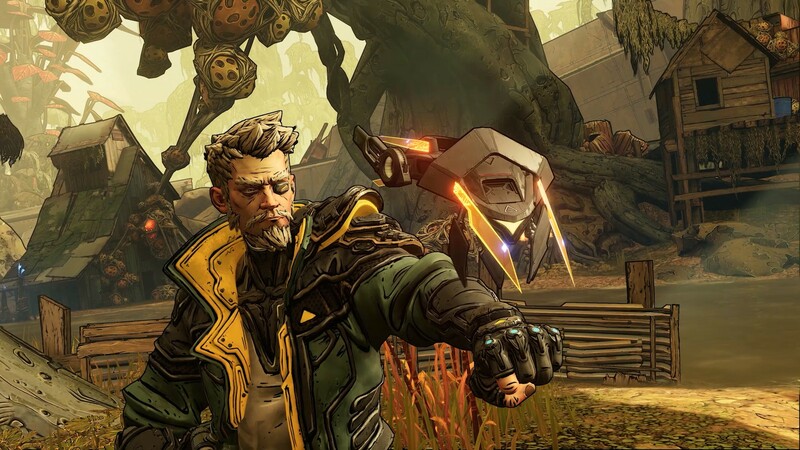 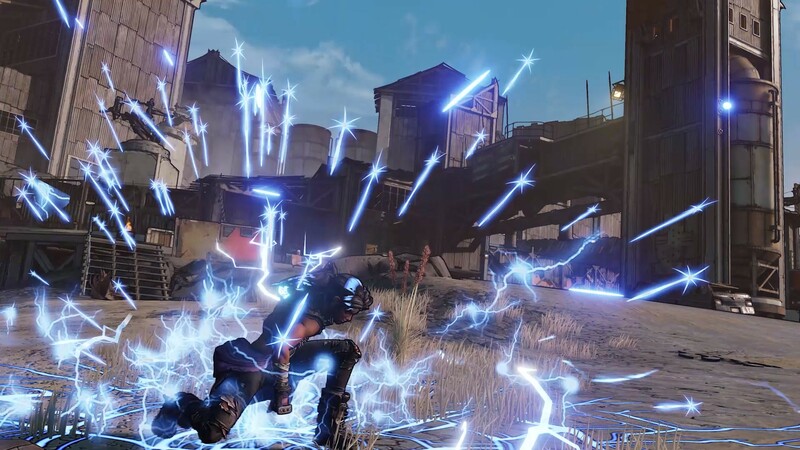 Like Borderlands and its sequels, Borderlands 3 features four playable characters who each has their own gameplay style, abilities and special power. 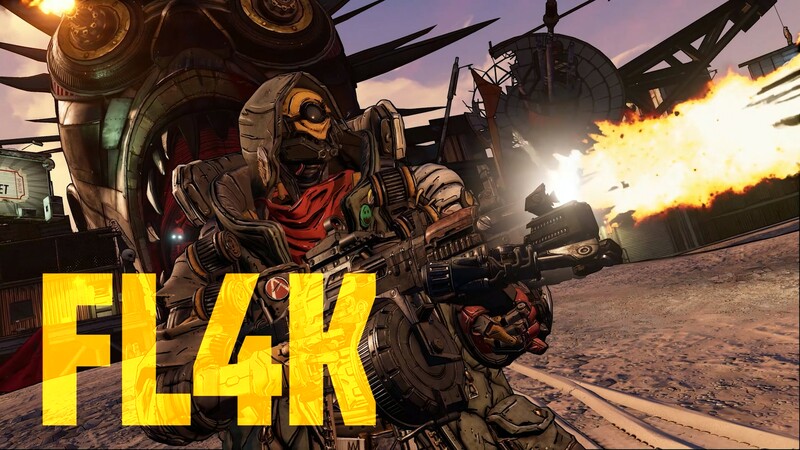 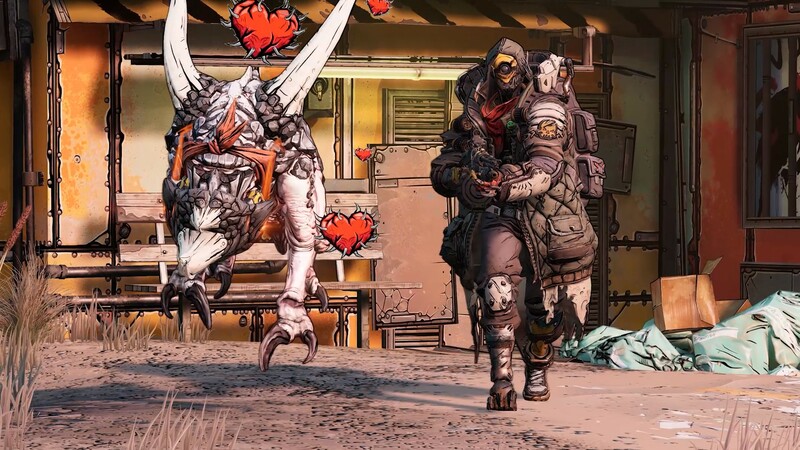 We first saw the four playable characters in the trailer that accompanied the announcement of Borderlands 3, however, we weren’t given any information about them. 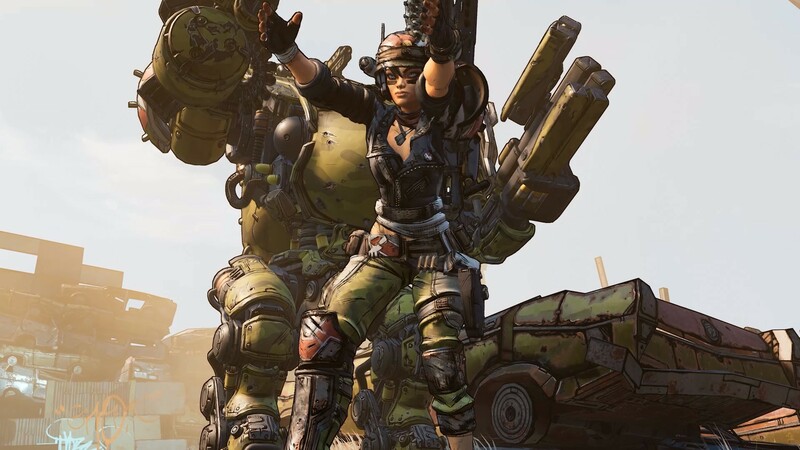 We didn’t even know their names. 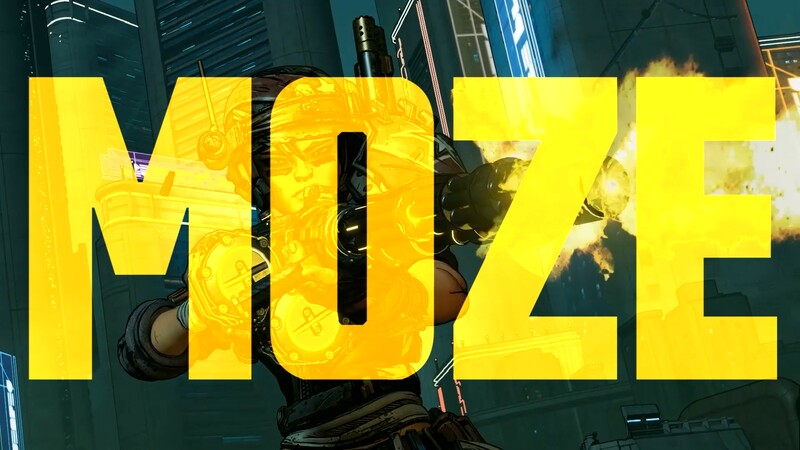 First up, we have Moze; the Gunner. 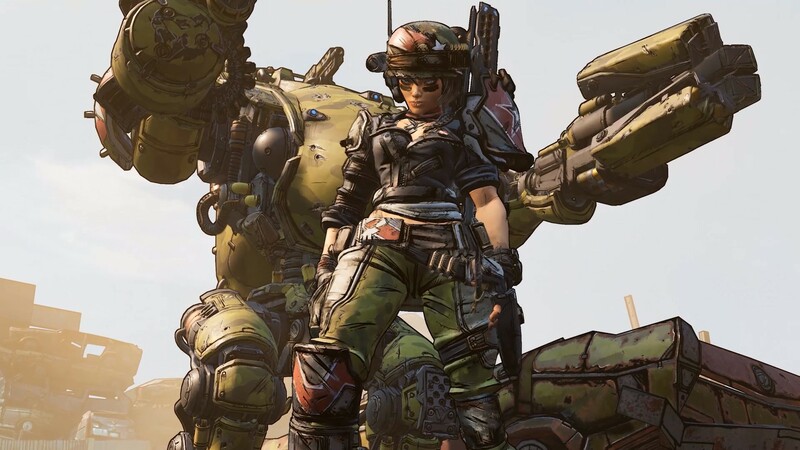 In the trailer and the images above, you can see that Moze comes with her very own mech. 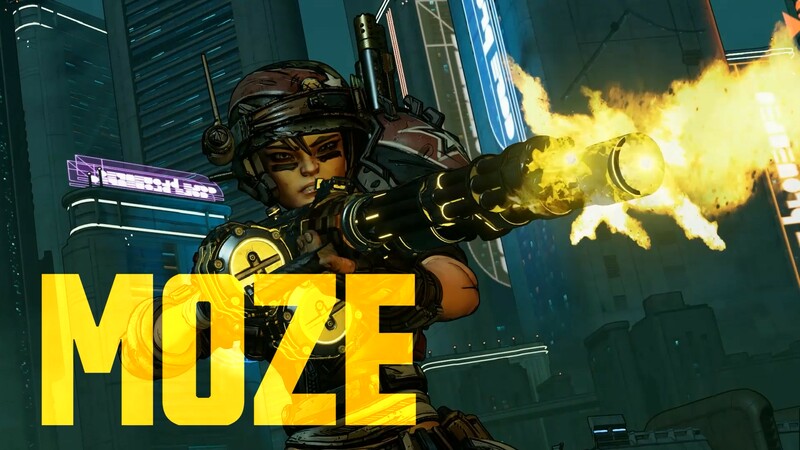 Gearbox says that Moze can ‘digistruct’ her mech. 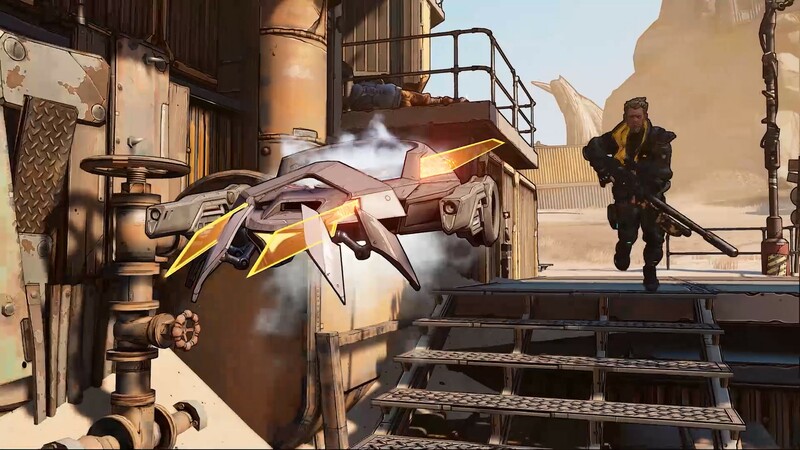 It’s also been revealed that the mech is named Iron Bear. 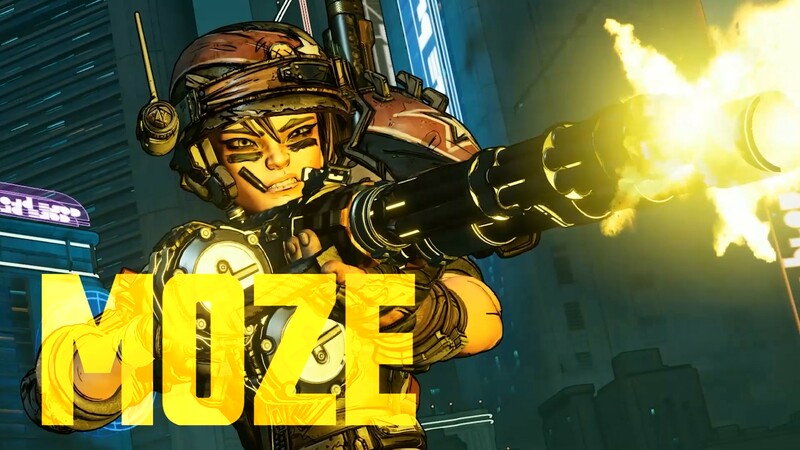 In everything we’ve seen thus far, Moze looks to be the leader of the ragtag Vault Hunter group and packs one hell of a punch. 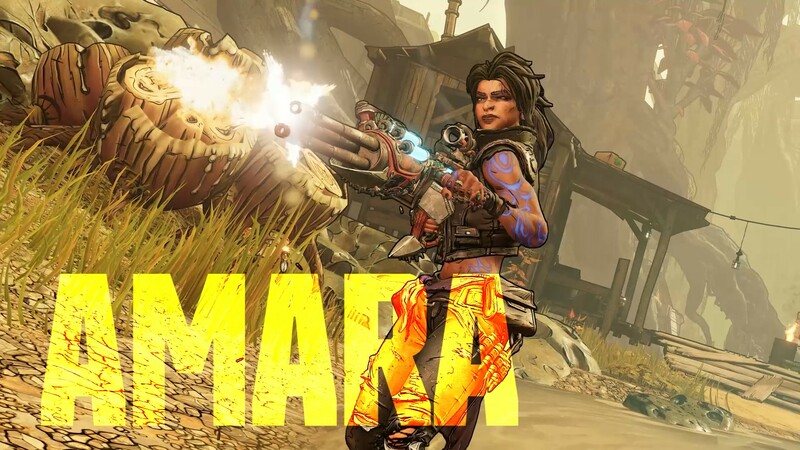 Amara is Borderlands 3’s Siren. 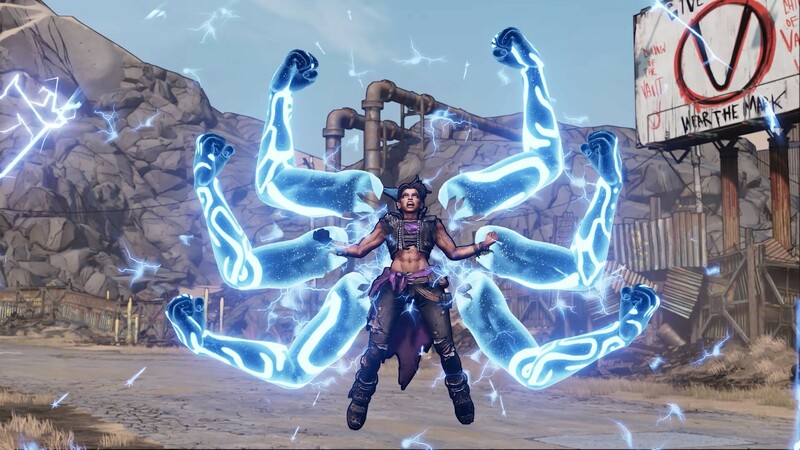 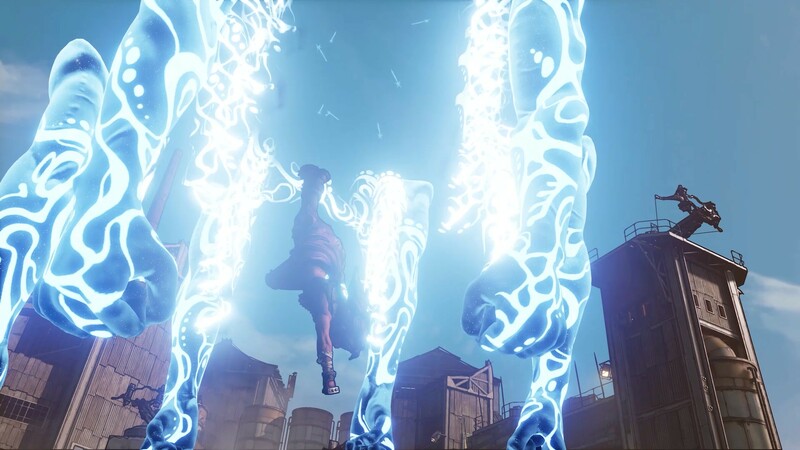 You’ve seen her in the trailers showing off her ability to spawn additional arms made of ethereal energy. 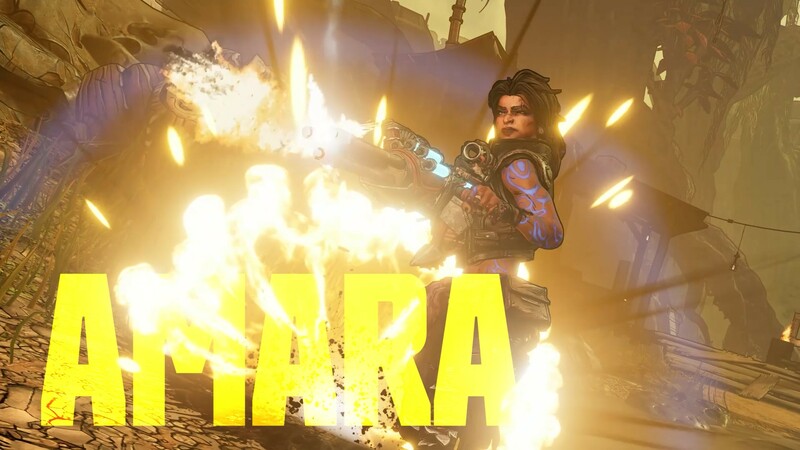 A confident, capable brawler with the ability to summon ethereal fists, Amara uses her Siren powers to smash her enemies. 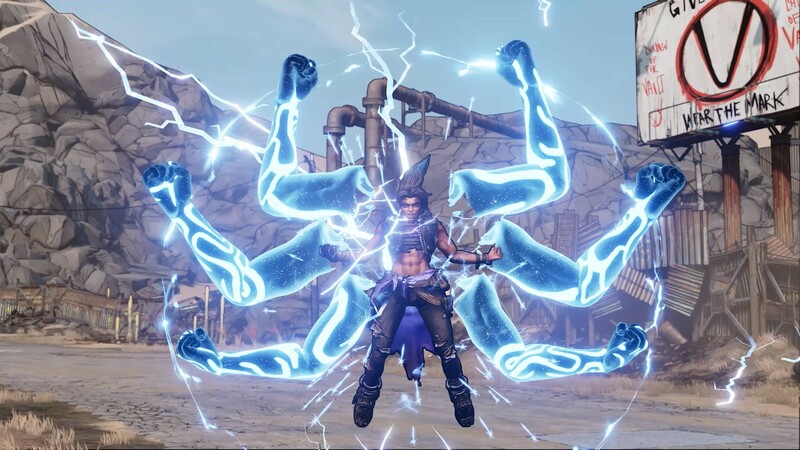 You can see her use her extra fists to deal huge damage with a ground pound of sorts in the images above and the latest trailer. 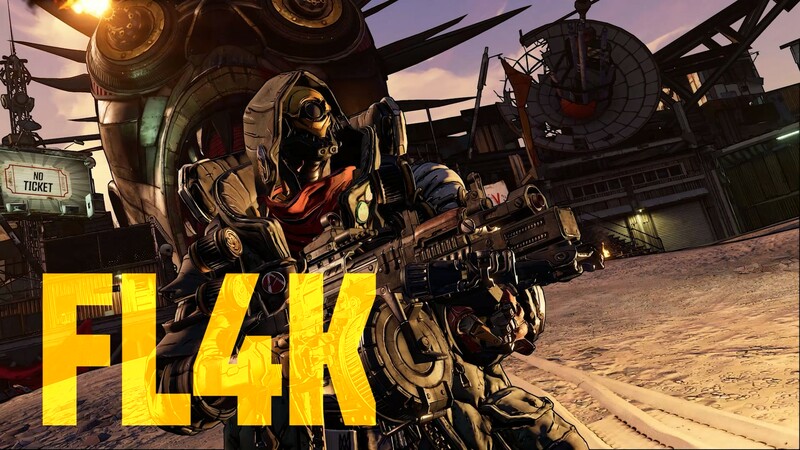 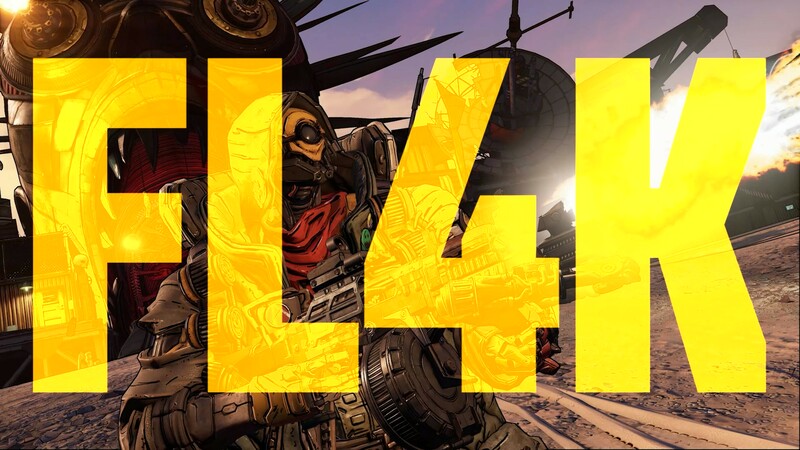 Gearbox says that “FL4K lives for the hunt.” He has a cohort of loyal beasts and they too live for the hunt and “follow their master’s every command.” As you can see in the images above and announce trailer, FL4K’s beasts — which sure looks like a skag — seem to emit spiky love hearts to show they’re FL4K’s followers. 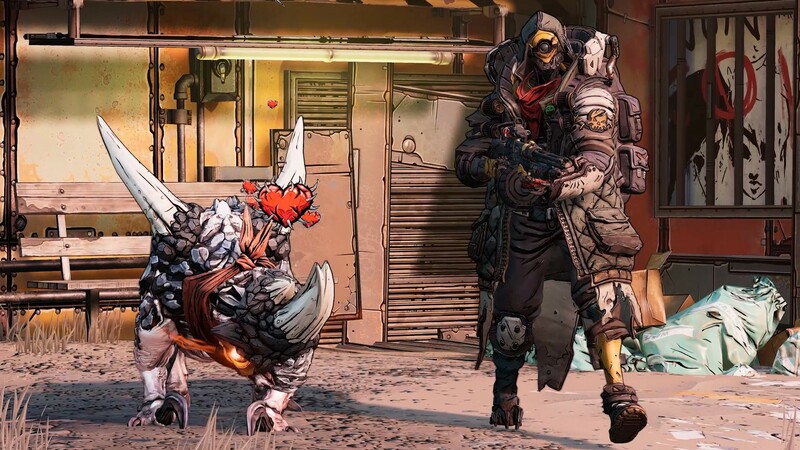 As for what these beasts like to eat? 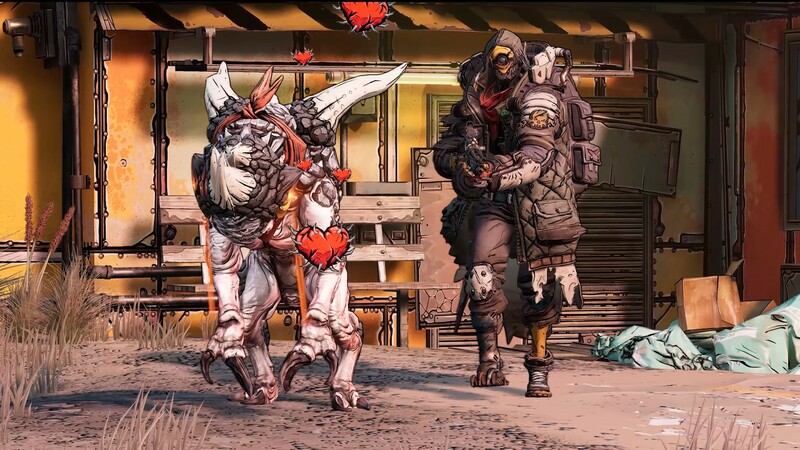 Unsuspecting bandits, those poor suckers. 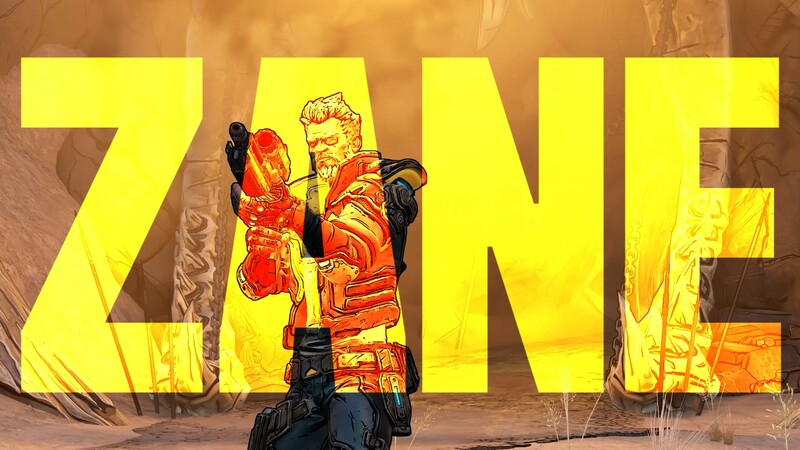 Finally, we have Zane. 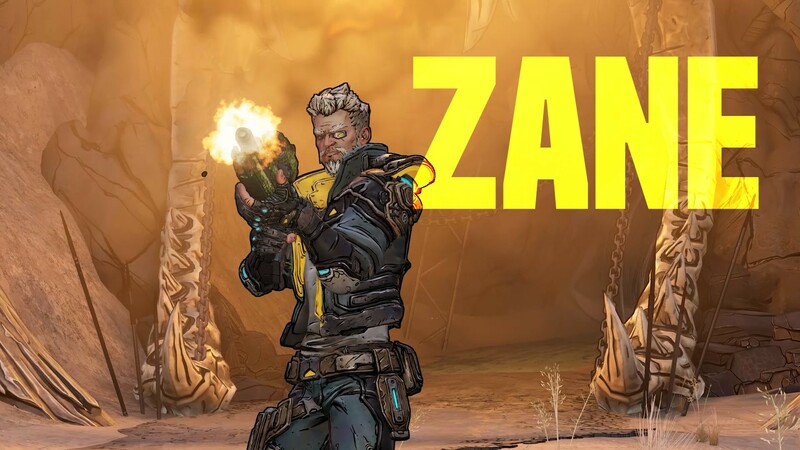 Zane is a wizard with special technology and is also “extremely proficient at slipping into combat, creating chaos, and sneaking back out as if he were never there.” You can see him in the trailer and the images above using his little wrist-mounted drone to cause mayhem. 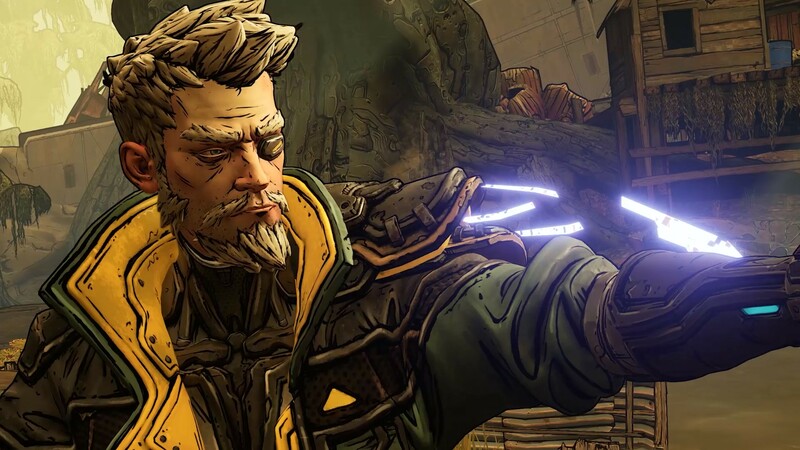 The four new Vault Hunters certainly look as though they’ll fit right in with the established characters and lore of Borderlands. 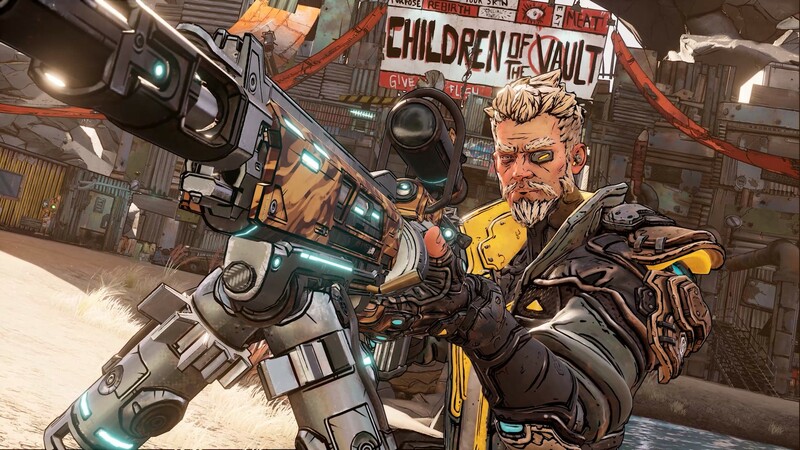 Become one of four extraordinary Vault Hunters, each with unique abilities and playstyles, deep skill trees, and tons of personalisation options. 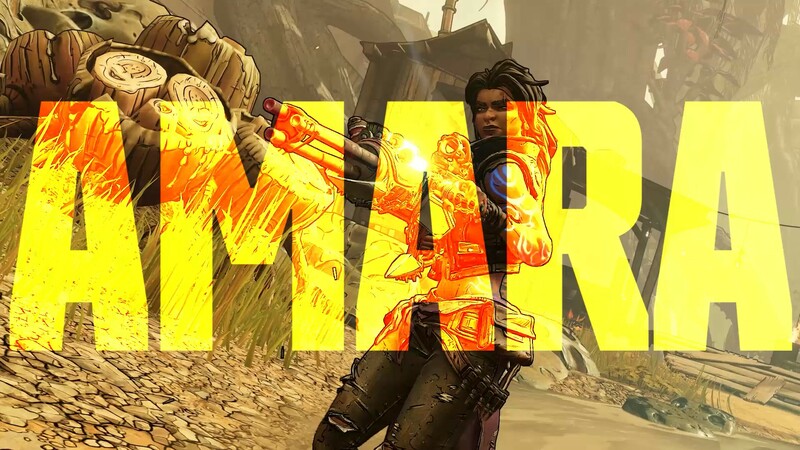 All Vault Hunters are capable of awesome mayhem alone, but together, they are unstoppable.